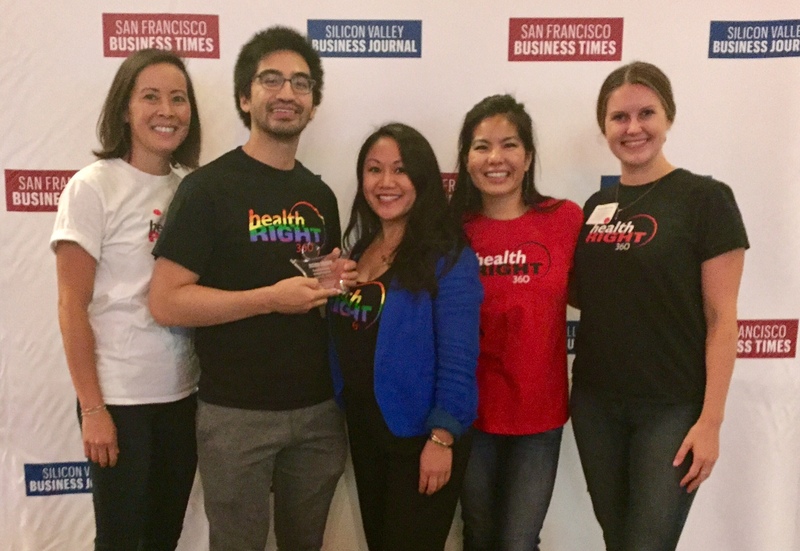 Asian American Recovery Services, Santa Clara County was ranked number nine in the small category in the San Francisco Business Times and Silicon Valley Business Journal's Healthiest Employers of the Bay Area 2017 awards. "More and more companies are making employee wellness a priority. Employees spend a huge chunk of their lives at work, so employers can help their workforces stay healthy. Wellness programs can help keep down health care costs, boost productivity and attract and retain employees. Corporate programs include meditation classes, steps challenges, on-site biometric screenings, counseling and gym reimbursements. Today, the San Francisco Business Times and Silicon Valley Business Journal are celebrating 75 Bay Area companies with strong wellness programs focused on employees' physical and mental well-being. The 2017 Healthiest Employers in the Greater Bay Area fall into four size categories: small (25 to 99 employees), mid-size (100 to 499), large (500 to 1,999) and largest (2,000+). The Healthiest Employers rankings are created in conjunction with our research partner, Springbuk, based on assessments completed by the companies. Businesses are ranked by a proprietary Healthiest Employer Index score; total scores are divided by 632.75, which is the total number of possible points a company can achieve. Scores reflect their average. The assessment methodology was changed from the prior year. All companies that participated this year have a lower score than compared to previous years because of the change. The Healthiest Employer award is scored across six categories: culture and leadership commitment, foundational components, strategic planning, communication and marketing, programming and interventions, and reporting and analytics. Click on the slideshow to see all 75 winners and learn the wellness programs and benefits these companies offer. Join the conversation: Follow @SFBusinessTimes on Twitter, "Like" us on Facebook and sign up for our free email newsletters."